Simulating quarks and gluons; giant neutrino detector, chess. 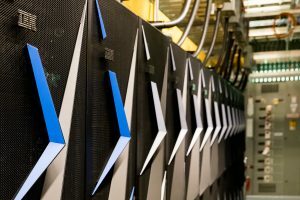 The U.S. Department of Energy’s Oak Ridge National Laboratory is simulating sub-atomic particles on the world’s most powerful supercomputer. The system is simulating these particles at speeds over 70 times faster than the predecessor. More specifically, Oak Ridge is simulating quarks and gluons on the recently-announced Summit supercomputer. In simple terms, atoms are made from protons, electrons and neutrons. Protons and neutrons each consist of three quarks. Gluons glue quarks together. 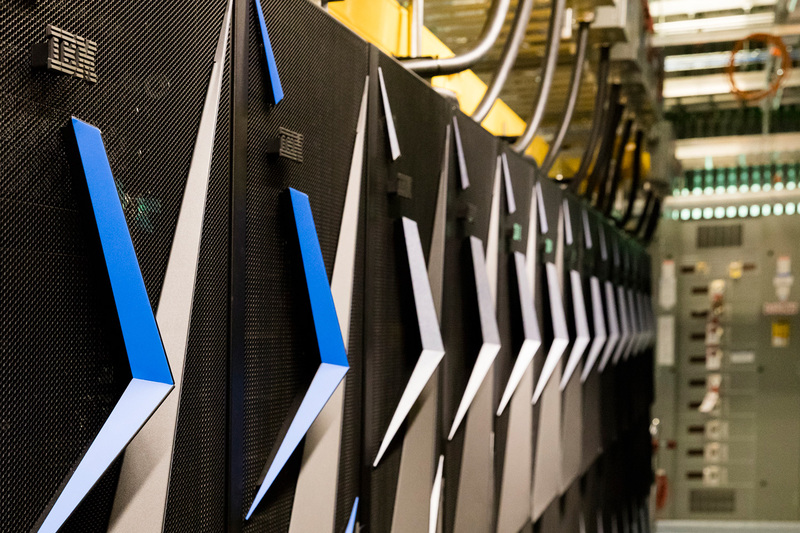 Using 4,608 nodes, Summit is more than five times faster than the previous-generation Titan supercomputer system at Oak Ridge. In Summit, each node contains multiple POWER9 CPUs from IBM and Volta GPUs from Nvidia. They are connected together using Nvidia’s high-speed link. On the Summit computer, the interactions of quarks and gluons are computed using lattice quantum chromodynamics (QCD). QCD is a mathematical framework, which describes the interactions. QCD helps reveal the makeup of these particles, which are difficult to capture in an experiment. “Summit GPUs are very well tailored for this multigrid algorithm, and we saw speedup potential there,” said Kate Clark, a GPU developer at Nvidia. A collaboration led by CERN and Fermilab have taken a big step towards unraveling the mystery of neutrinos. The effort, called the Deep Underground Neutrino Experiment (DUNE), has recorded its first particle tracks in the world’s largest liquid-argon neutrino detector. A neutrino is a sub-atomic particle that is nearly massless. Trillions of them pass through our bodies each second without leaving a trace. DUNE will consist of two neutrino detectors, which are placed underground at a distance of 1,300 kilometers. A long neutrino beamline is situated between each of the detectors. One detector will record particle interactions near a beam. That detector is located at the Fermi National Accelerator Laboratory in Batavia, Ill. A second detector will be installed underground at the Sanford Underground Research Laboratory in Lead, SD. Built by CERN, the detector is called the ProtoDUNE. It is the size of a three-story house and filled with 800 tons of liquid argon. This keeps the temperatures below minus 184 degrees Celsius. The detector is the first of two prototypes. At CERN, the detector recently recorded traces of particles in argon, which come from cosmic rays as well as a beam at CERN’s accelerator complex. Now that the first tracks have been seen, scientists will operate the detector over the next several months. The Cornell High Energy Synchrotron Source (CHESS) is a high-intensity X-ray source. In early 2019, CHESS will have an increased energy of the electron beam, from 5.3 to 6.0 GeV, double the current from 100 to 200 mA, and reduction of the horizontal emittance of the x-ray beam from 100nm to 30nm. CHESS is primarily supported by the National Science Foundation (NSF), which provides users state-of-the-art synchrotron radiation facilities for research in physics, chemistry, biology, and environmental and materials sciences.